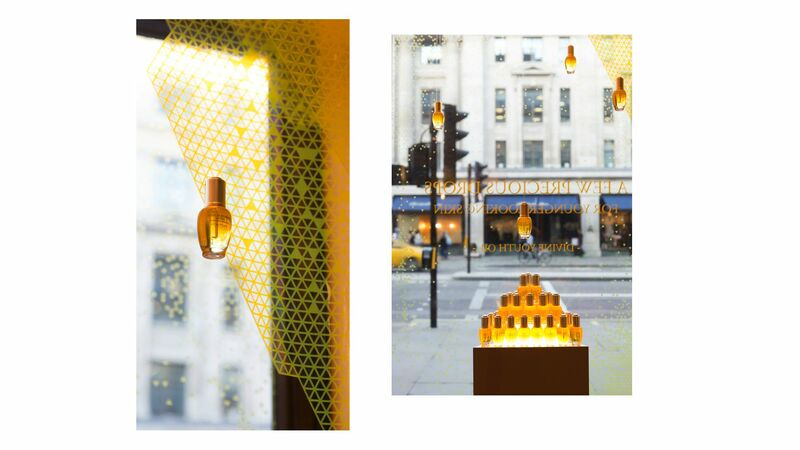 The Apple Store Regent Street hosted a Pecha Kucha with all the architects involved in the RIBA Regent Street Windows project. 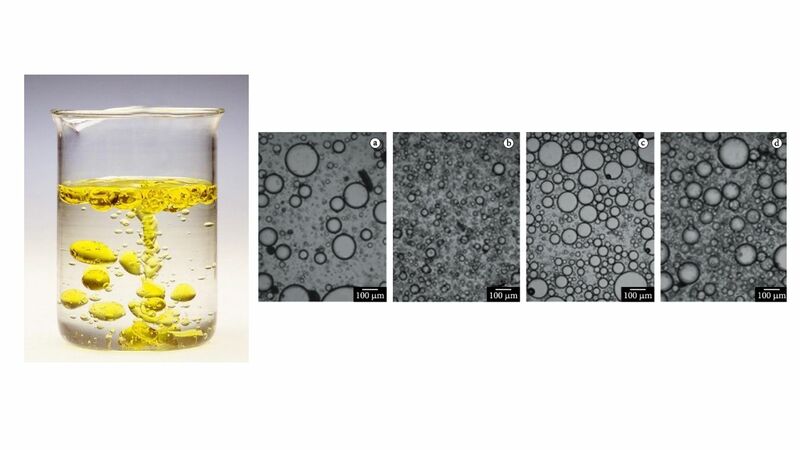 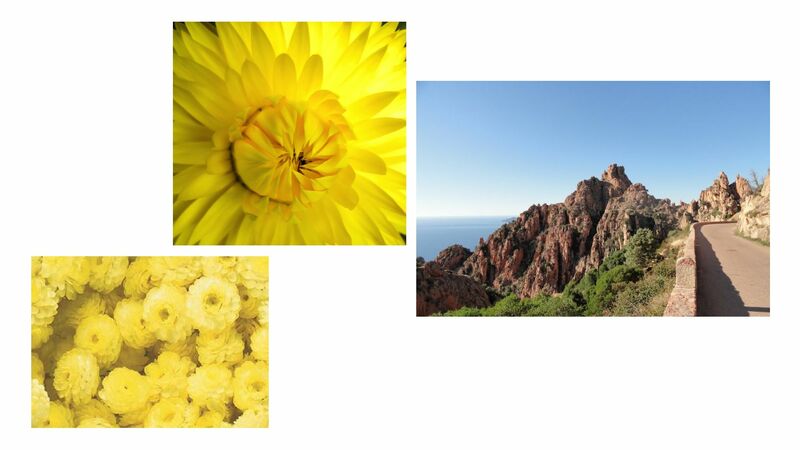 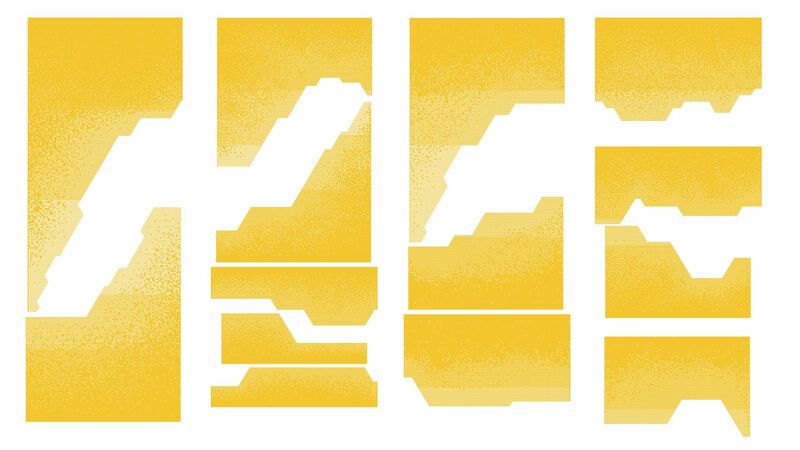 Here are the images from our one minute presentation! 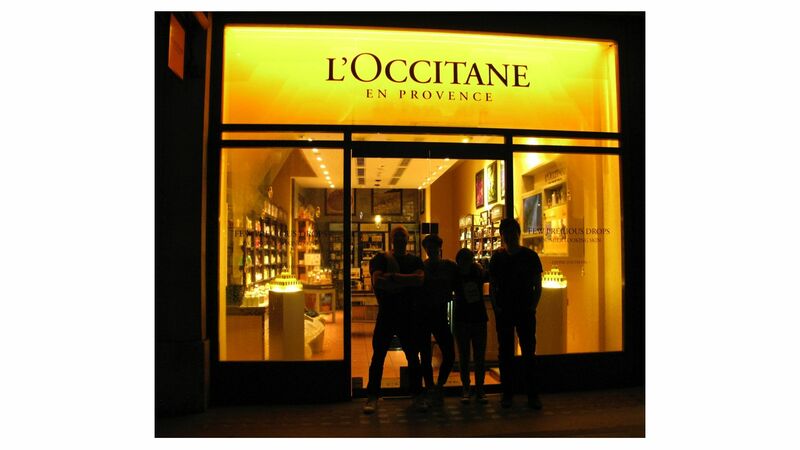 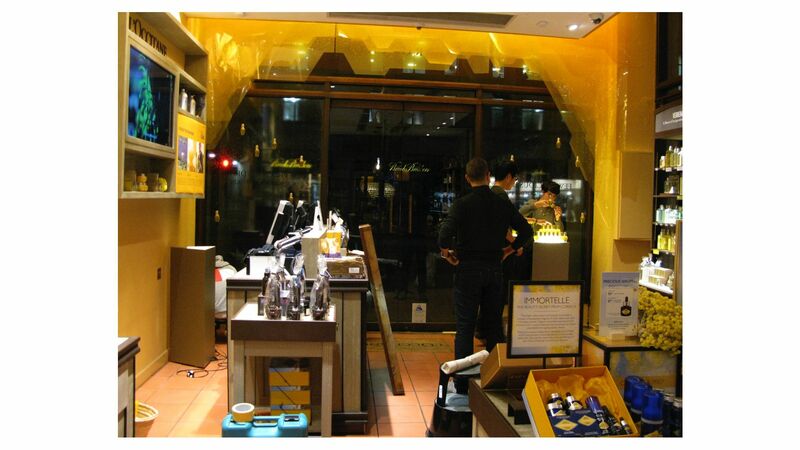 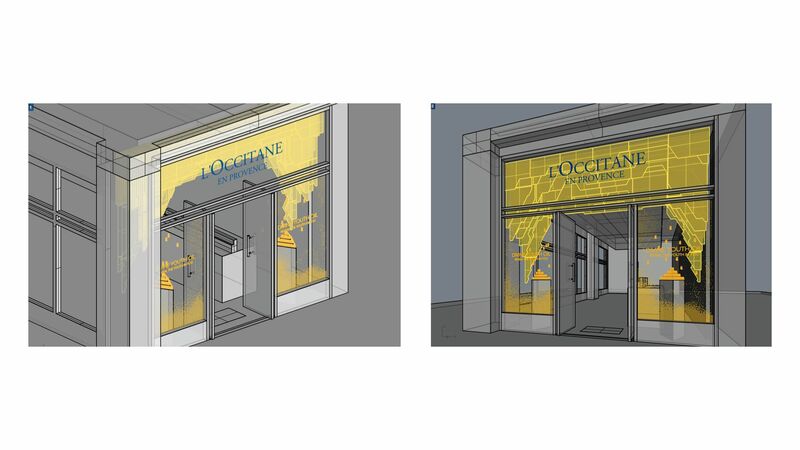 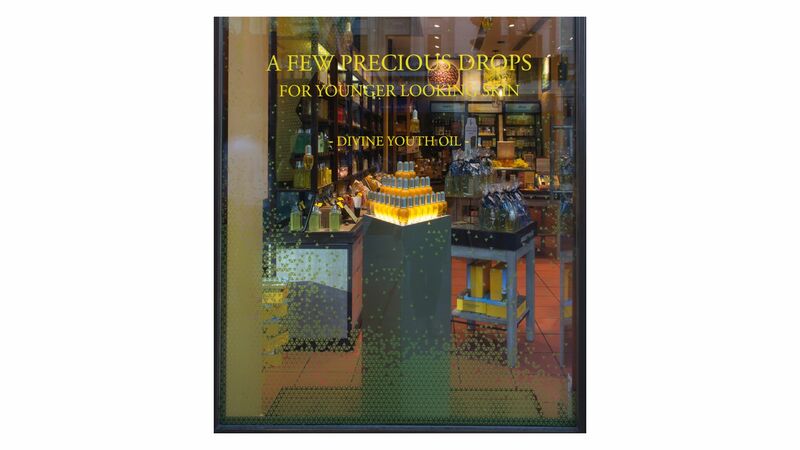 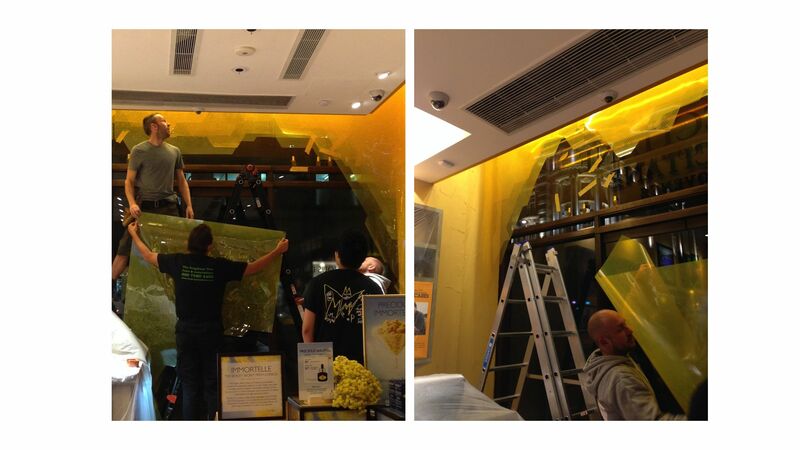 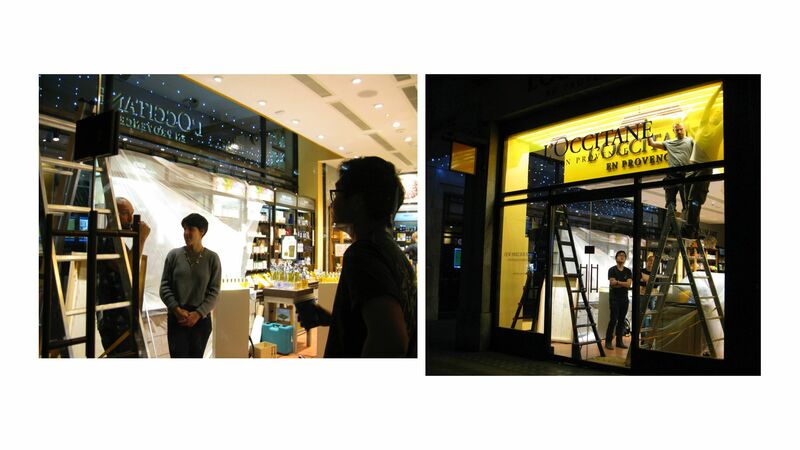 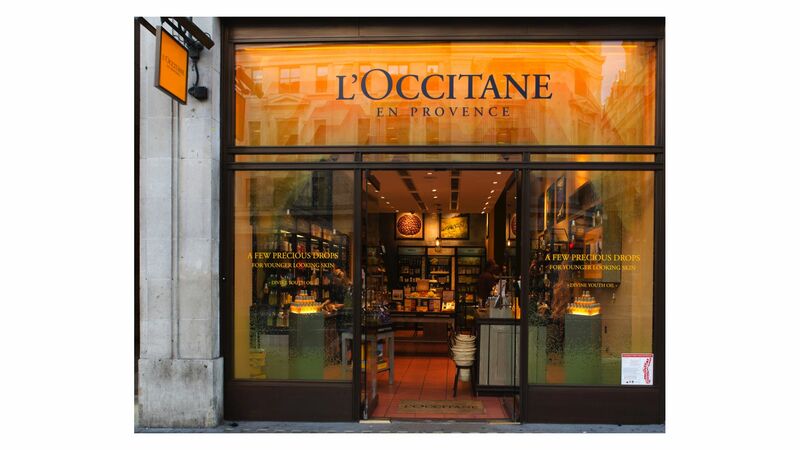 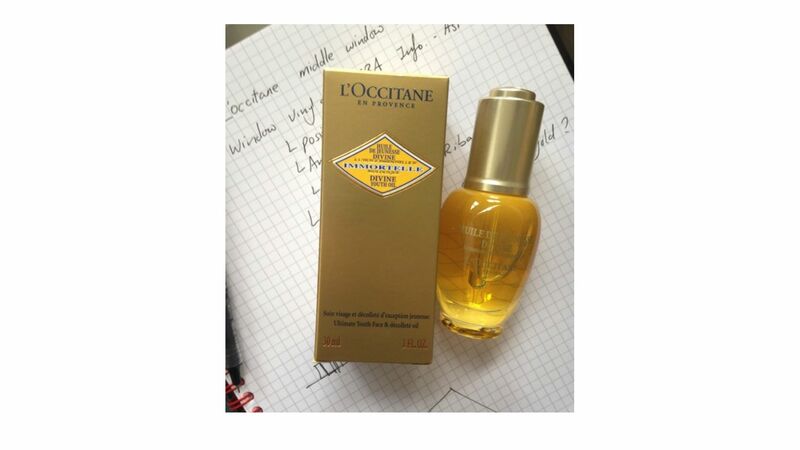 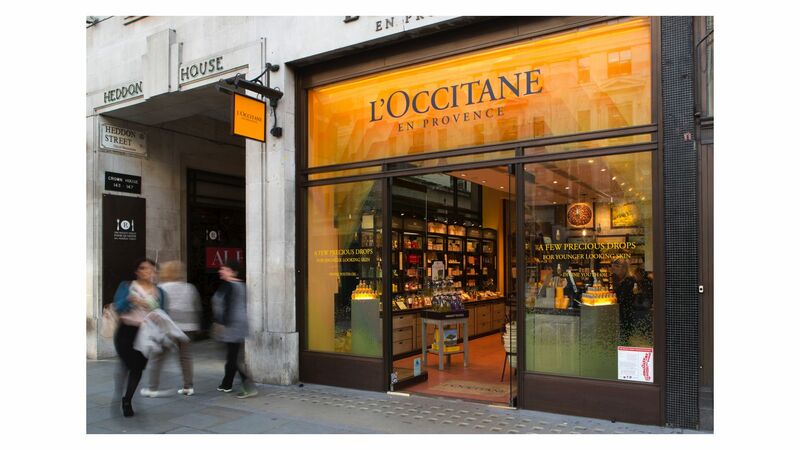 “L’Occitane asked us to make our window display a showcase for their product which is made from the everlasting Immortelle flower from rocky Corsica. 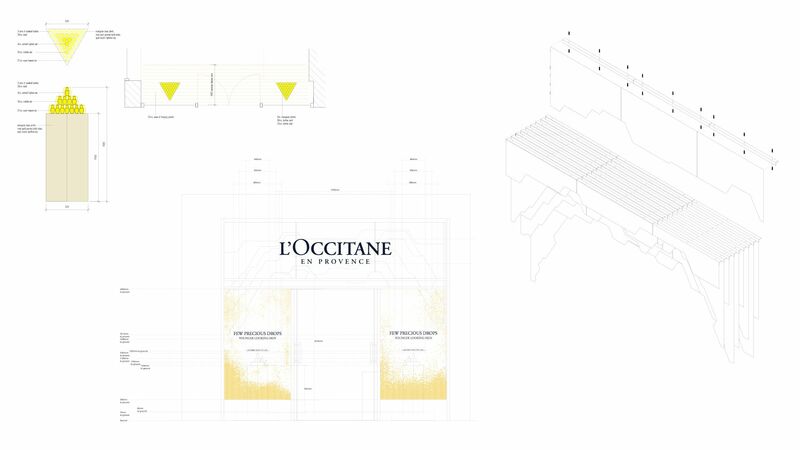 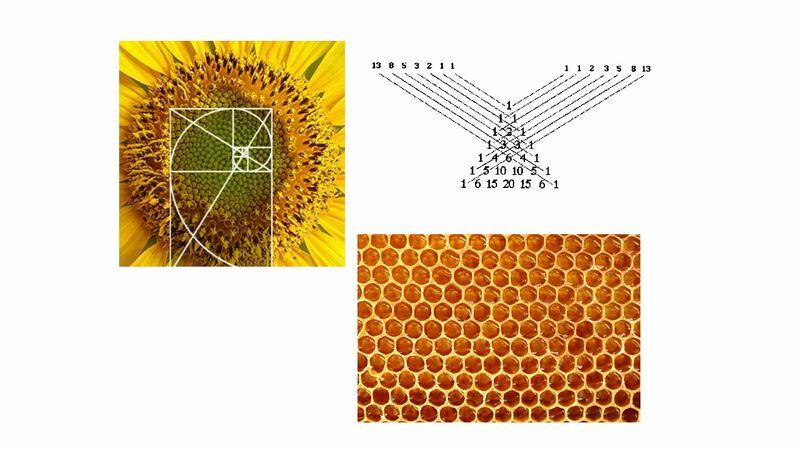 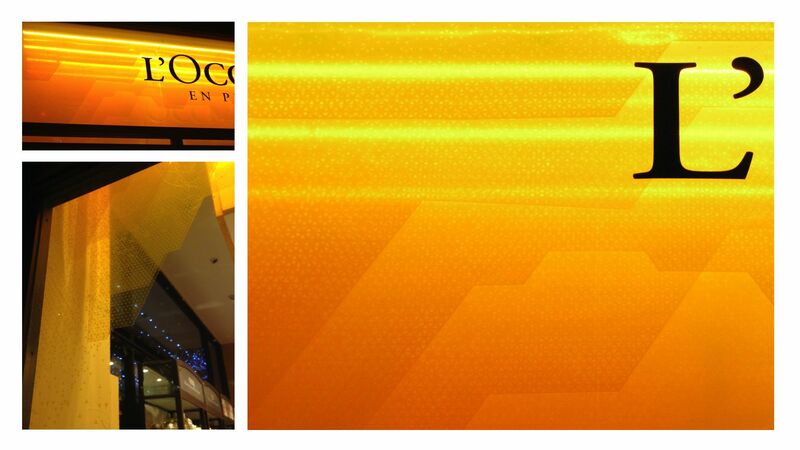 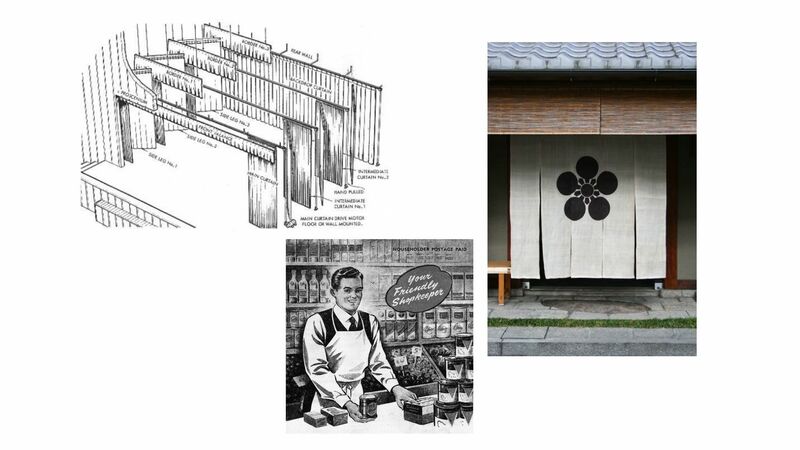 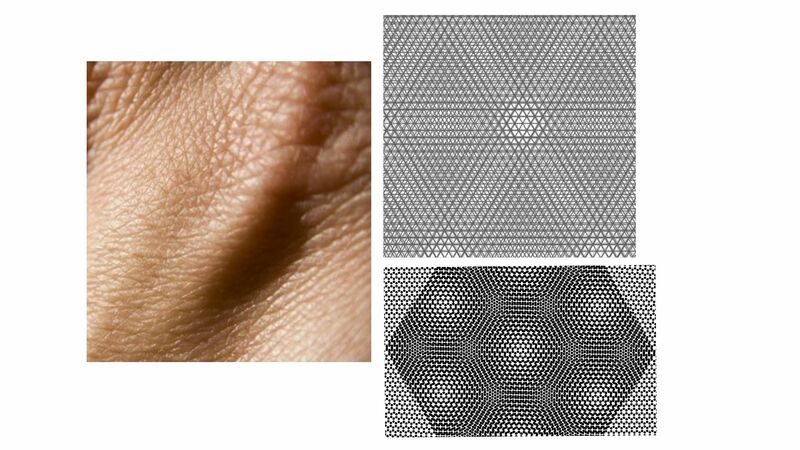 So we drew inspiration variously from the landscape, neverending patterns in mathematics and geometry in nature, oils and chemistry, skin patterns and moire effect – to transform the shopfront into a portal that frames the product display and welcomes you into the store. 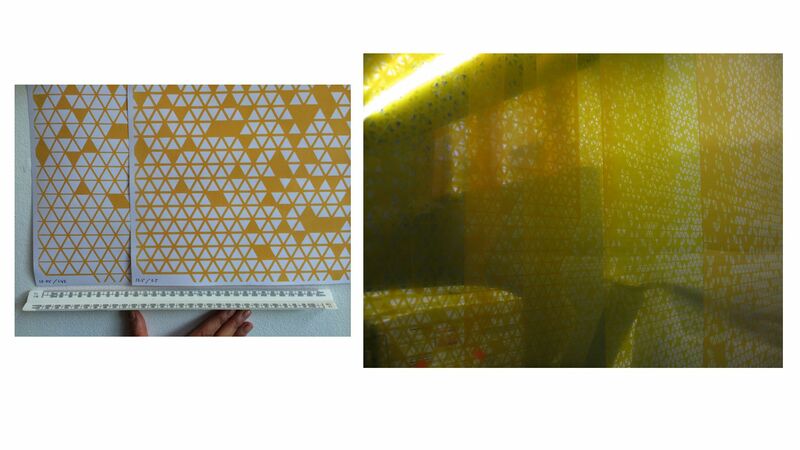 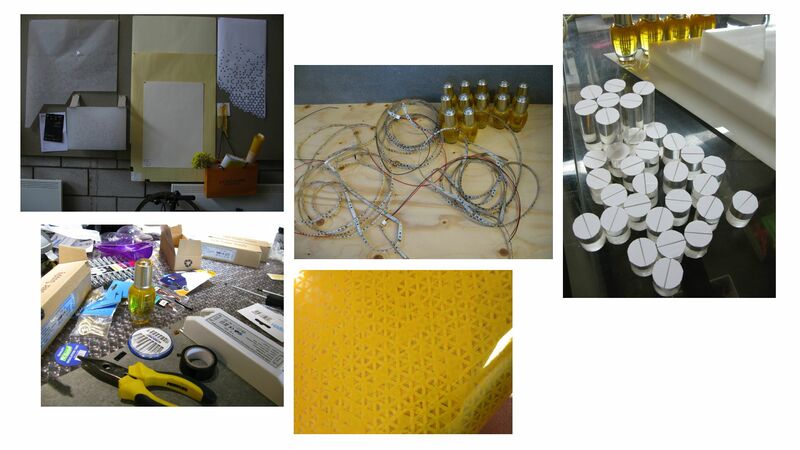 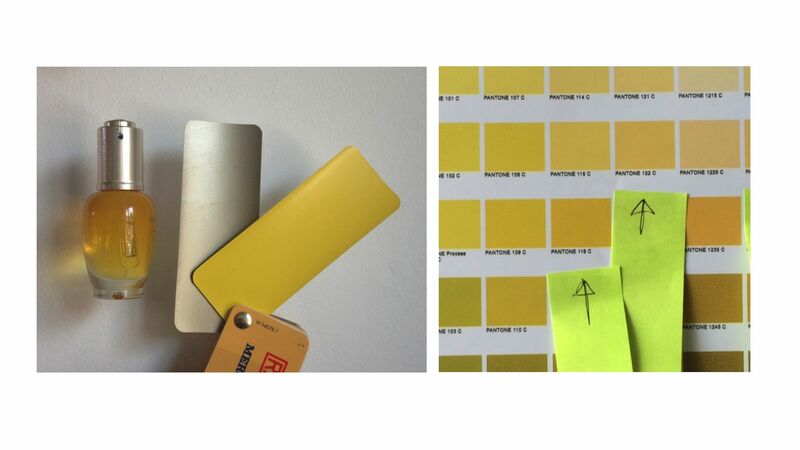 Here are some images of our design process and development – drawings, prototyping and rigorous testing, including the artwork for the hanging panels, each with precisely-designed triangular cut-outs. 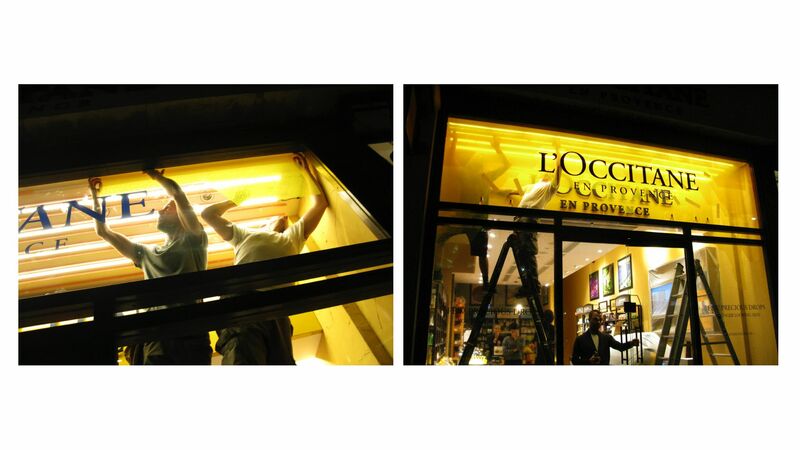 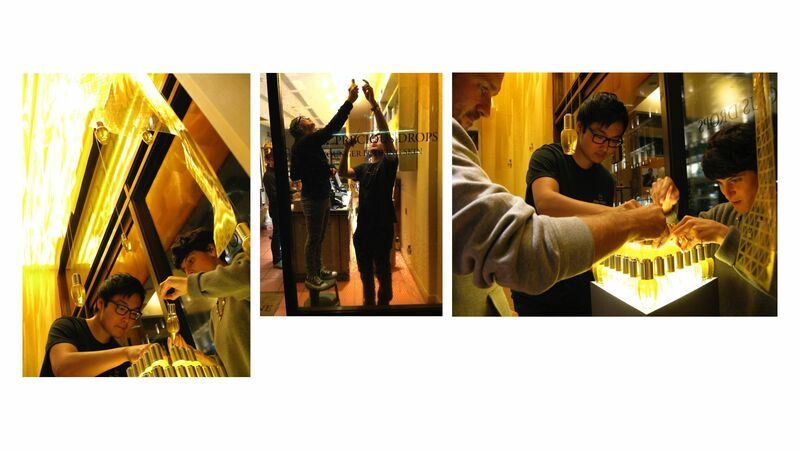 The overnight install had to take place in strict linear order as we were working in the confined space of the shopfront: the hanging of the independent acetate panels, installation of LED lighting in between, the application of the vinyl triangles to the glazing, and finally the careful positioning of the bottles. 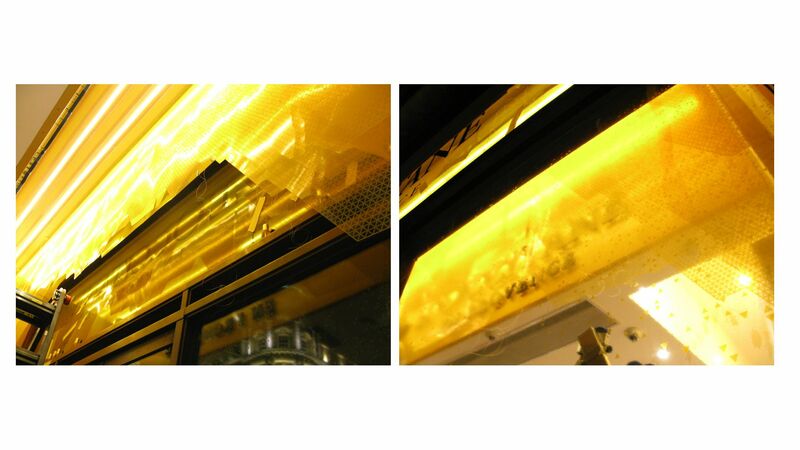 Installation photography by Agnese Sanvito & Emulsion.